Pennzoil 10 Minute Oil Change has been in business since May of 1984. The original facility “Lube Express” was started by brothers Wendell and John Sause on the corner of 5th and Central Ave in downtown Medford. The goal of Pennzoil 10 Minute is to continue to provide exceptional service to it's customers and a safe and challenging workplace for it's employees. Pennzoil 10 Minute managers and staff will always consider what would be best for the customers vehicle when servicing and recommending additional service items. 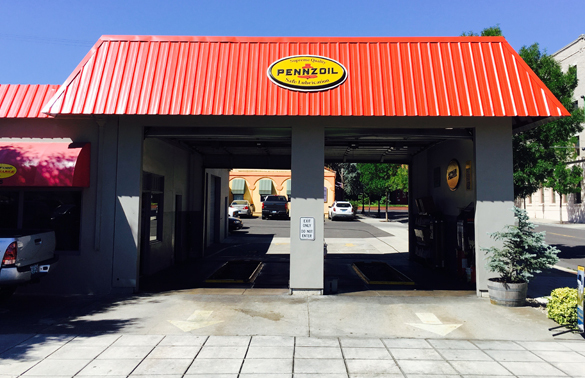 Honesty, Integrity, Politeness and a genuine effort to do a thorough and complete job is what every customer that leaves Pennzoil 10 Minute should remember. Looking For The Latest Coupons - we got’em!